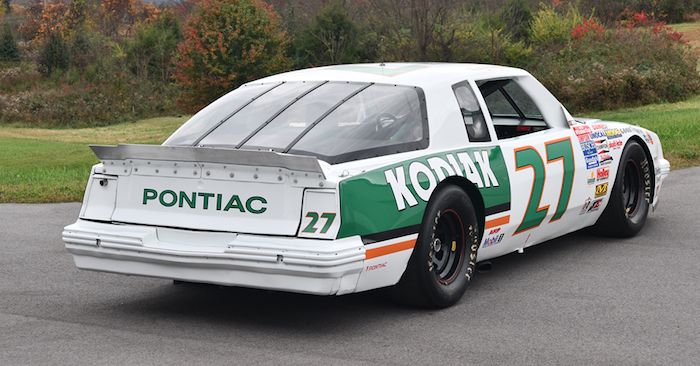 A 1986 Pontiac Grand Prix NASCAR Cup Series car formerly driven by stock car racing legend Rusty Wallace has sold at the Barrett-Jackson Scottsdale 2019 auction over the weekend to the tune of $100,000. All proceeds from the sale of the Grand Prix benefitted the Task Force Dagger Foundation, a non-profit that provides assistance to wounded, ill or injured U.S. Special Operations Command members and their families. The car was sold from the private collection of NASCAR fan Robert McNab. The NASCAR Grand Prix in question, nicknamed Millie by Wallace, was one of the well-known racer’s favorite cars. It was raced on short and intermediate tracks in the 1986 season and features the iconic Kodiak livery that Wallace ran at the time. In fact, Wallace won multiple events driving Kodiak-liveried NASCAR entries, including the 1989 Winston Cup championship. This car retains its original powertrain and features other crucial original parts, adding to its provenance. Wallace won two races in 1986 – one at Bristol in an Aluguard-sponsored Pontiac Grand Prix and another at Martinsville. It’s not clear what kind of results this exact chassis racked up, but it’s racing pedigree is undeniable. After all, how many race-used NASCAR cars have been left untouched since they were last raced? “Millie” was also stored in a climate-controlled area when on display at the museum at Bristol Motor Speedway from 2009-2012. 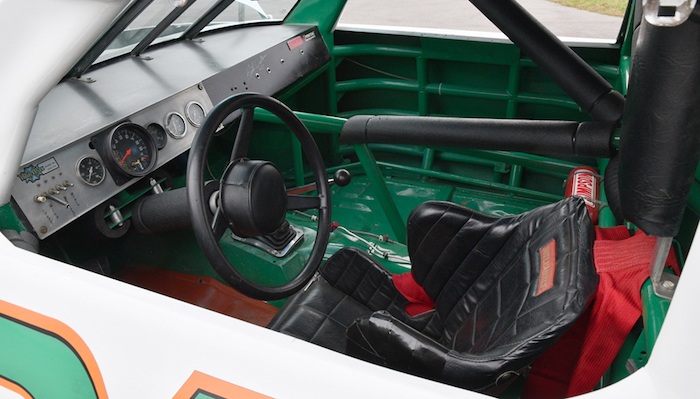 Before selling the car, Barrett-Jackson said this would be a “great car for any collection,” or for historical racing. To be honest, we’re hoping its new owner decides to take it vintage racing. We’d much rather see old Millie out on the racetrack with other vintage American race cars and stock cars, but considering the car’s illustrious past, it will likely be housed in a private collection somewhere. Besides, Millie has probably earned her longtime slumber. Check out the listing here for additional information and photos of this rare 1986 Pontiac Grand Prix NASCAR car.